The IARS International Institute is pleased to announce an accredited training event that will be taking place on 24 -29 April 2017 in London. 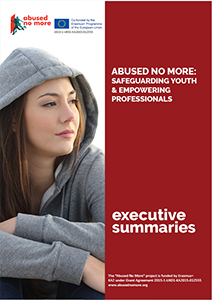 The event is organised in the framework of the Abused No More: Safeguarding Youth and Empowering Professionals. The trainings will aim at cross cultural learning but also in testing concepts beyond national borders. The ultimate aim is not only to increase the knowledge and capacity of the participating organisations, but also to refine the finalised training material and courses in order to be appropriate at a European level. Furthermore, each organisation that will be trained will be expected to pass on this training to their remaining project young volunteers, staff and members. The findings will feed into the evaluation process of the entire programme which will refine and finalise its practical results and publish them in one volume at the end of the project. 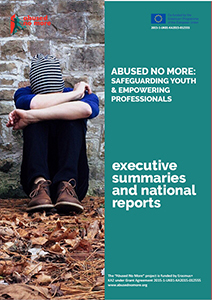  – Create knowledge and raise awareness of the specific needs and realities of marginalised young people who face (or are at risk of) gender based violence, abuse and discrimination (migrants, refugee women, Black minority ethnic groups).  – Develop knowledge and awareness about user-led/youth-led models of empowerment, engagement and participation.  – Familiarise professionals with the concept of legal literacy as empowerment tool for prevention of discrimination including gender-based and racial discrimination.  – Provide participants and their organisations with tools and additional resources including training guides that can be directly applied to their work with their target groups.  – Exchange knowledge and best practice among professionals from different countries who are working with diverse groups across Europe.